Estate & Appraisal Services Inc address, phone, website, hours of operation, and more. 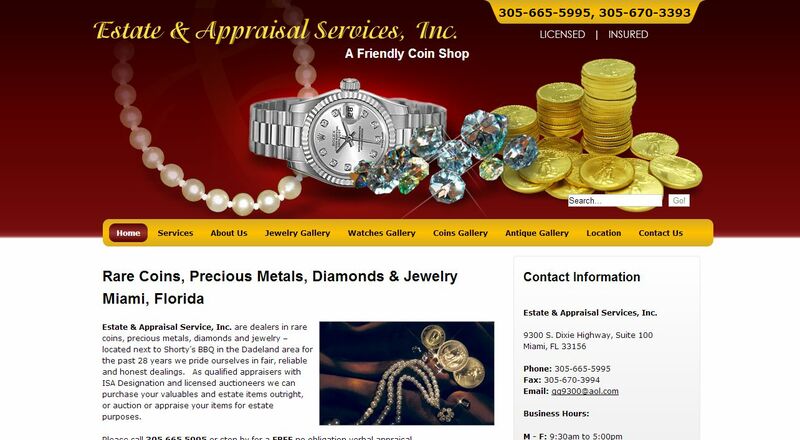 Estate & Appraisal Service Incare dealers in rare coins, precious metals, diamonds and jewelry – located next to Shorty’s BBQ in the Dadeland area for the past 28 years we pride ourselves in fair, reliable and honest dealings. As qualified appraisers with ISA Designation and licensed auctioneers we can purchase your valuables and estate items outright, or auction or appraise your items for estate purposes.